This is a 12 year-old boy who had a big fall while playing when he was only 5 years old. He did not complain of any problems at first, but . 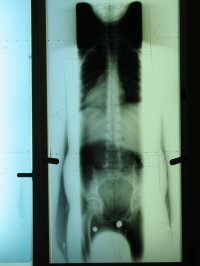 . . a few years later started having neck pain, back pain, headaches and stomach aches. 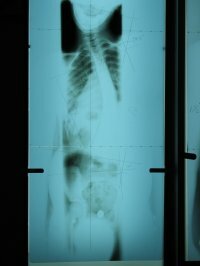 His x-rays showed a severe scoliosis. After 4 months of chiropractic care with us - no more headaches! No more pain! But most importantly, he was once again a happy, healthy child! Just imagine . . . a future of disability and surgery avoided because this boy's parents chose to find out what was wrong and to do what it took to take care of their son.